Lack of physical activity and unhealthy diets are leading to increasing numbers of overweight children. According to the WHO, around a third of all children between six and nine years of age are now classed as being overweight. Although these problems have long been known, they cannot be solved easily. It is an issue which has to be tackled by both politics and research. For this reason, researchers from almost all EU member states, including sport scientists from Friedrich-Alexander-Universität Erlangen-Nürnberg (FAU), have joined forces with European politicians in the EU-funded Joint Action on Nutrition and Physical Activity (JANPA) to develop new strategies in the fight against obesity and to harmonize the efforts of the member countries. We asked PD Dr. Karim Abu-Omar about the problems regarding children’s diet and leisure activities and which challenges politics and research face. Dr. Abu-Omar is a lecturer and researcher at the Department of Sport Science and Sport at FAU. How physically fit are young people in Europe? One of the most significant health problems affecting young people in Europe is the number of overweight and clinically obese among them which has increased during the last few years. For example, the World Health Organisation assumes that a third of children between the ages of six and nine years are overweight or obese. For individuals, this means an increased risk of various medical conditions such as cardiovascular diseases, type 2 diabetes or certain types of cancer. For society in general this will involve an increase in treatment costs of chronic diseases in future when these children become adults. Even now, around seven percent of the national health budget of EU member states is invested in treating chronic diseases that are caused by being overweight. What is causing this increase in obesity in young people? Obesity is influenced by diet and physical activity in particular. Young people consume more fast food and sugary drinks, processed foods are more readily available and physical activity is playing a decreasing role in their everyday lives. Current figures show that 75 percent of boys and 85 of girls perform less than one hour of physical activity every day, which is the time recommended by the World Health Organisation for this age group. In public health terms, this is due to an environment that promotes obesity, which affects individuals and promotes an unhealthy way of living. How is JANPA tackling obesity? JANPA – the Joint Action on Nutrition and Physical Activity – is to contribute to halting the increase of overweight individuals and obesity in the European Union by 2020. These efforts include collaboration between 26 countries – 25 of the 28 EU member states and Norway. to harmonize the strategies of the EU member states for combating obesity in young people. In this project, JANPA aims to encourage healthier ways of living by identifying behavioural prevention strategies suitable for the EU member states. 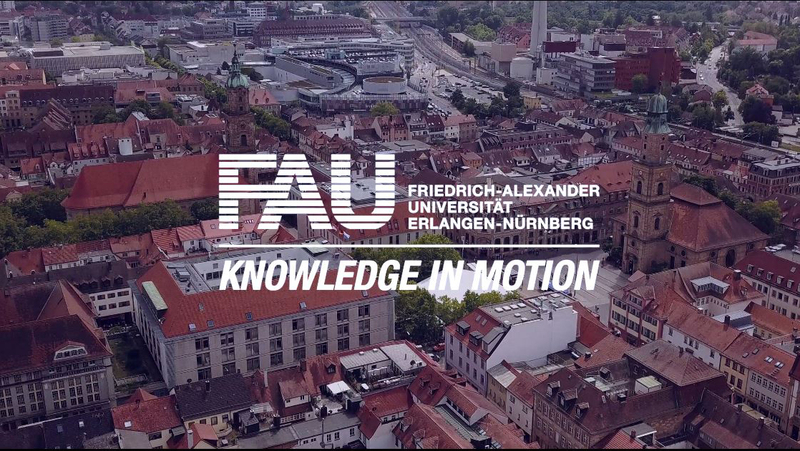 How did FAU contribute to the project? FAU was tasked with encouraging healthier behaviours in kindergartens and schools. Firstly, we created a toolbox with numerous examples of good practice from 16 European countries that facilitates learning about successful measures across national borders and that is available online. Secondly, we devised and carried out an online survey with decision makers in politics and relevant stakeholders. With 187 participants from 12 European countries, this survey is currently one of the largest surveys conducted among political decision makers that provides important insights into the perception of key stakeholders in preventing obesity in children and young people. At the Department of Sport Science and Sport, our task within this project was to apply our expertise in preventative behaviour and our research in health and social sciences. In addition, we were able to provide support to the project with our expert knowledge in the area of encouraging physical activity. Since we only recently published national guidelines for physical activity and promoting physical activity as the first institution to do so in Germany, we were able to bring our extensive research profile to the JANPA project. Several of the other organisations involved were based more in the fields of nutritional and health sciences. What should be done in the future to prevent obesity in children and young people? The results of the online survey show that establishing environments that facilitate physical activity and providing support to parents are the top priorities for political decision makers in the fight against obesity. However, these political decision makers regarded commercial marketing for unhealthy foods and the lack of funding as significant barriers to this. At the JANPA final conference in Paris, which was also attended by EU Health and Food Safety Commissioner Vytenis Andriukaitis, it became clear that there is a high level of commitment in Europe to actively support the prevention of obesity in children. However, steps must be taken to ensure that organisations involved in promoting health have enough staff and resources on both local and regional levels to carry out their work.